Desirable +/-30 acre parcel in beautiful Giles County. This property has nice views, a pond, fencing for livestock, very nice building sites to choose from and more. Approximately 60% cleared. Road frontage along Flat Hollow Rd. This Beautiful property has 360 degree Views. It has new fenced pastures in 2014 5 strands with 2 electric strands.Civil War Log Cabin with restored real rock foundation & chimneys.Log Cabin has electricity, Septic & developed spring. 2 year round springs. Large 3 bay Barn, Fruit trees.Old Pond site.It is located off of a Paved state maintained road. Automatic water troughs throughout. Here is a chance to purchase your own private get away within a few minutes to DeHaven Park at Claytor Lake! With almost 20 acres of wooded privacy, build anywhere you choose or possibly divide the property for investment opportunities! The property has nice, open woods and lays very well. Beautiful views and building sites. Approx 20 minutes to Blacskburg. This is a PUD Development. Call listing agent for more information. MacKenzie Lake lies in the heart of the Allegheny Mountains in the unspoiled southeastern region of West Virginia. This stunning 10-acre lake and cabin is completely surrounded by a total 144 acres of densely forested woodland with a few scattered wildlife openings. Forest trails offer hiking, horseback riding and ATV/off-roading adventure. 3 BR, 1 BA home on an acre in Wythe County located 7 miles from I-77 & 10 miles from I-81. The property is convenient to Wytheville, Draper, & Hillsville as well as close to the New River Trail State Park. The house is in good condition and could be a starter or secondary home or a place to retire out in the country. 3 Br 2 bath brick ranch with 16.83 acres with 1,200 ft of New River water frontage. This beautiful property also comes with a 2 bedroom 864 sq ft cottage and a 30x50 building/garage. The river frontage has the perfect camping getaway already setup and cleared with a fully equipped bath house with electricity as well and a boat landing to enter/exit the river. 37.26 per new survey, wooded, lays well, numerous house sites, mountain views, can be subdivided, good hunting. Neighbor stated Electric, well, septic system, spring. on property. 14.5 acres more or less. New Survey. Beautiful Building Sites. Near the foothills of Peters Mountain. Open level Pasture, long range views. Don't miss this one. 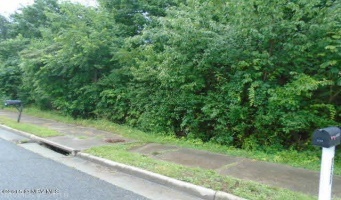 22.20 Acre located in Black Diamond Subdivision. Land is gently sloping. Excellent building site with views of the valley and mountains. Private stock trout stream, wild life abundant. pavilion along johns creek for picnic, weddings, and reunions. Come to Craig county with low taxes and no red lights. MEADOW BLUFF is a 94 acre private country estate located in Greenbrier County. This immaculate custom-built log home is nestled into a beautiful hardwood forest and is only 20 minutes from Lewisburg. SELLER WILL PAY UP TO $5000 IN PURCHASERS CLOSING COSTS WITH AN ACCEPTABLE OFFER! Super close to Blacksburg, this private home overlooks the mountains with two sunrises every morning! Renovated kitchen with granite tops a separate side by side full sized refrigerator and freezer, make cooking a pleasure. End unit townhome, one level, 3 nice bedrooms and 1.5 baths (half bath off master bedroom.) Large yard and privacy. Lots of updates including architectural shingle roof, ceramic tile on patio, kitchen, bath, entrance, custom kitchen backsplash. Pergo in the hall and living room. Updated patio doors are Pella with carefree between-the-glass blinds. Nice neighborhood in SW County close to Cave Spring Schools. A fixer upper for full time residence or investment property. Fenced in back yard. this 102 acres has excellent grazing and crop land with 20 +/- acres of wood land. Game plot. North Fork a year round creek runs through property also has a year round pond. Property has 2 perk sites. New fencing.1564+/- feet of road frontage. PROPERTY TAX UNDER LAND USE TAXES ARE $426. Three excellent lake lots totaling 2.08 acres in Plantation Estates, deeded ownership and usage of private waterfront 30' lot with 234 feet of frontage. Next to association boat ramp. Excellent way to own and build with in a location with great privacy and yet have all the enjoyment of the lake. Wow! Wonderful Front lot on Fountain Springs Golf Course, overlooking everything the Golf Course has to offer. Paved maintained road, public utilities. Close proximity to town and schools. Ideal spot for a beautiful homesite. This lot is one of a few left in this location, so don't let this one pass you by. LOT #37 Hillcrest at Union Valley. Located In An Established Subdivision In Riner! Within Walking Distance To All Of The New Auburn Schools, Ball Fields, Restaurants, Bank, Post Office, Local Shopping, Etc. Paved Walking Trails W/ Two Gazebos and over 6.6 acres of Community Owned Green Space. All Lots Have Access To Public Water And Great Long Distance Views. PRICED BELOW TAX ASSESSMENT - Over 31 Acres of wooded land in Southwest Virginia - Wythe County - Property has bold stream, hardwood timber and access to the property is no problem as it fronts two roadways. If you are looking for a hunting location or to build your home this property offers a lot. Located within 10 minutes to Wytheville VA and 20 minutes to Christiansburg / Blacksburg VA.
3 BR 2.5 BA doublewide on about an acre in Bland, VA. This home is enormous with well over 1800 sq. ft. total finished in the house, and another +/-672 sq. ft in the upstairs portion of the separate 2 car garage, which would make a great man cave. Sunroom added at the rear which also has a pellet stove in it.